From Gulacha Ganpati to Ek Hota Vidushak, the legend touched upon various genres on celluloid. To say that Purushottam Laxman Deshpande aka Pu La Deshpande is admired throughout Maharashtra would be an understatement. The man is revered for his enormous contribution to the arts and to society. The mere mention of ‘Pu La’ commands respect. 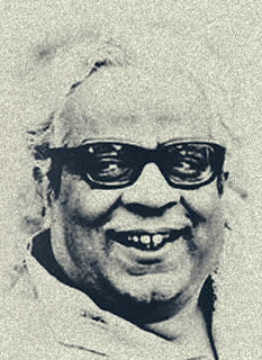 PL Deshpande was basically a writer known for his short stories and plays. While his works span genres, he was best known for his humour, particularly his gently satirical take on social issues. Some of his famous works include Vyakti Aani Valli, Batatyachi Chaal, Asa Mi Asami, Tee Phulrani and Rao Saheb. Desphande’s achievements go beyond literature, however. He also excelled in other arts like acting, scriptwriting and music composition. 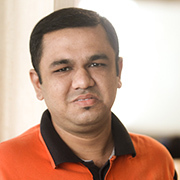 As a writer, he made his way into Marathi and Hindi cinema. His name appears in the credits of almost 20 films. However, not many of them became as popular or successful as his plays and books. On his 99th birth anniversary (Pu La was born on 8 November 1919), we take a look at five films where he contributed with the pen. The film was based in a village in Maharashtra and revolved around a wrestler Surjerao (Chandrakant). During a match at the annual village fair, his opponent gets too violent with Surjerao, resulting in a flare-up between the two strongmen. They are separated before things go out of hand. But the opponent and his father challenge Surjerao to a match the next year to decide who is the best wrestler in the village. Directed by AR Sheikh, the film had the right balance of a number of entertaining factors — traditional wrestling scenes, songs and dances, humour and emotions. These aspects were woven together in a very natural manner. The wrestling scenes deserve a mention as the filmmakers did not have the luxury of today's technology back then, not to speak of the cost of raw stock which would shoot up if multiple takes were required. This Raja Paranjpe directorial saw the coming together of two heavyweights of Marathi literature. The writing of the film was a joint effort between Pu La Deshpande and Ga Di Madgulkar and told the story of a family from a so-called lower caste in a village and their struggle to lead a decent life. Pudhche Paul showed sincerity in depicting the sorry state of the Mahar family and had quite a few touching moments. It ended on a positive note, however. Interestingly, the film had Deshpande playing the lead character opposite celebrated actress Hansa Wadkar. 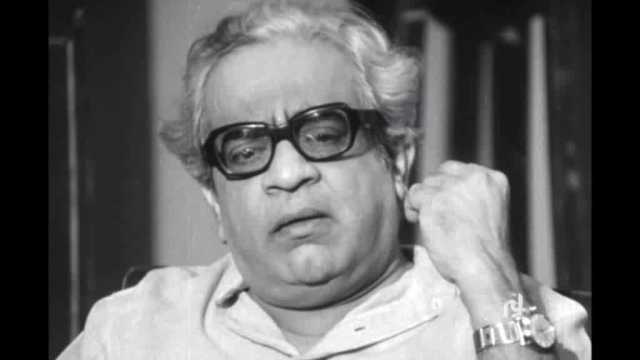 Considered one of Deshpande's best works on screen, Gulacha Ganpati saw the celebrated litterateur don several hats as he often did — writer, director, actor and music composer. The emotional drama revolved around a naive character named Narya, played by Deshpande, who falls in love with a girl named Leela, played by actress Chitra. Working at grocery store with a strict boss, Narya spends most of his time enacting fantasies drawn from popular fiction, leading to some funny and heartwarming moments. Everyone exploits him except Leela. After the initial light-hearted sequences, things slowly turn serious as the do-gooder Narya is hired by a local troupe to play a working class hero. Sudarshan, the villain of the story played by Vasant Kale, fools and forces Narya to actually play that role in real life. When the bad guys come after him, his love for Leela helps him grow and rescue himself. While the film is a love story on the surface, it is also a social commentary, delving into how the rich and the powerful exploit the naive common man for personal gain and rob the poor by siphoning off the money meant for them. Deshpande's role in the film was in many ways like those being played by Raj Kapoor (emulating Charlie Chaplin's tramp) in Hindi cinema at that time in films like Awara (1951), Shree 420 (1955) and Jagte Raho (1956). Gulacha Ganpati is also remembered for Deshpande's beautiful compositions and Ga Di Madgulkar's lyrics. All the songs were instant hits. Pandit Bhimsen Joshi’s bhajan 'Indrayani Kathi', 'Ketkichya Banaat' by Asha Bhosle and 'Ethech Taka Tambu' by Bhosle and Vasantrao Deshpande are three of the more memorable. Based on PL Deshpande's play Sundar Mee Honar, the Vasant Joglekar directorial was a story of hope and liberation — from the mental to the physical world. The story revolved around the rich and powerful Balbir Singh (Ashok Kumar), whose stern behaviour leads to a breakdown of his relationship with his four children — Hemalata (Nanda), Ashalata (Tanuja), Pratap (Rohit Kumar) and Rajendra (Deven Verma). His intimidating behaviour also results in partial paralysis of Hemalata's lower limbs. When many attempts to cure her fail, the father hires the handsome doctor Sanjay (Sunil Dutt), who goes against Balbir Singh's silly protocols to bring fun and laughter to the house, giving his children the much-needed voice of rebellion. Sanjay and Hemalata also fall in love and the love enables her to walk earlier than expected. Sundar Mee Honar is one of Deshpande's most loved stories with an important lesson about freeing the mind of fear and about the joys of love and liberation. The film had some good performances, especially by Sunil Dutt and Ashok Kumar, and will be remembered as one of the few good Hindi adaptations from Deshpande's work. The Marathi play, however, became a much bigger hit when it was staged in the 1990s with a star cast that included Dr Shriram Lagoo, Vandana Gupte, Dr Girish Oak, Prashant Damle, Kavita Laad and Ravi Patwardhan. This is not only one of the most famous Pu La Deshpande stories, but it also remains one of the most iconic films in mainstream Marathi cinema. 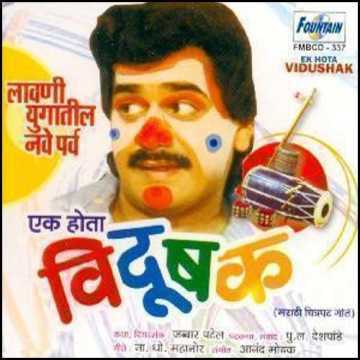 It tells the story of a clown Aburao (Laxmikant Berde) who gets a chance to become a film actor. He gets carried away by success in the glamour world and later joins politics. There comes a point when the person who used to make the world laugh is unable to bring even a smile on his daughter’s face. Dr Jabbar Patel’s handling of PL Deshpande’s screenplay ensured that the film became a hit and won many awards. 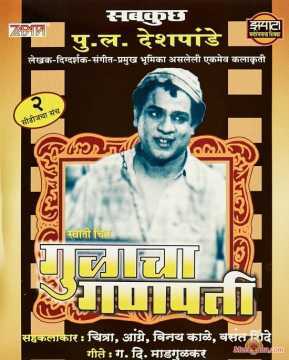 Ek Hota Vidushak was also one of Marathi film star Berde’s best known performances. Usually considered a comedian whose mere appearance could make people break into laughter, Berde showed audiences another, more serious side of his craft in this film. The film also had fine performances from heavyweights like Nilu Phule, Dilip Prabhavalkar, Mohan Agashe and Varsha Usgaonkar.